Home - Stakeholder Management - Restoring Peatlands in Russia – for fire prevention and climate change mitigation in partnership with Wetlands International, 2011-2018. “Restoring Peatlands in Russia – for fire prevention and climate” is a project curated by Wetlands International. 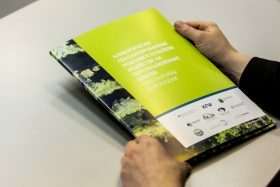 Its partners include the Institute of Forest Science of the Russian Academy of Sciences, the Michael Succow Foundation, and the Institute of Botany and Landscape Biology, Greifswald University with the support of the Ministry of Natural Resources and Ecology of the Russian Federation. German Development Bank KFW provides financial support for the project as part of the International Climate Initiative. Disturbed peatland is an actual worldwide ecological problem. Large areas of drained peatlands cause fires. Wildfires endanger local population’s life and health, negatively affecting the overall climate change. The drained peatland area in Russia reaches 6 million hectares, and this figure is steadily growing every year. The catastrophic damage from fires in 2010 showed insufficient effectiveness of the environmental safety policy and revealed the need to change the approach to this problem. The project “Restoring peatlands in Russia” became one of the solutions focused on forming an integrated approach to managing the peatland conservation and restoration processes. 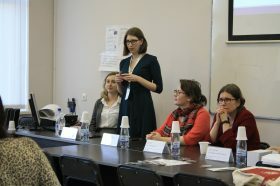 “EthnoExpert” successfully applied Michael Succow Foundation’s decision-making methodology for degraded peatlands in Russia. The company’s innovative approach in social and environmental studies and its own developments in the stakeholder management created a comprehensive methodology for interaction with project stakeholders. “EthnoExpert” employees offered effective management solutions for specific territories and thereby made a significant contribution to the overall project management. The results of such studies inspire clear design solution identification, which reduces possible risks, ensures project’s sustainability for a long time and maintains favorable social and environmental conditions for the population. 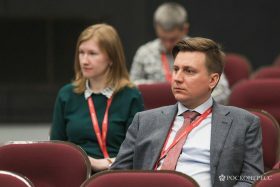 From 2014 to 2018 “EthnoExpert” took part in more than ten peatland restoration projects in Moscow, Vladimir, Tver, Nizhny Novgorod, Ryazan, Kaluga and Kaliningrad regions.